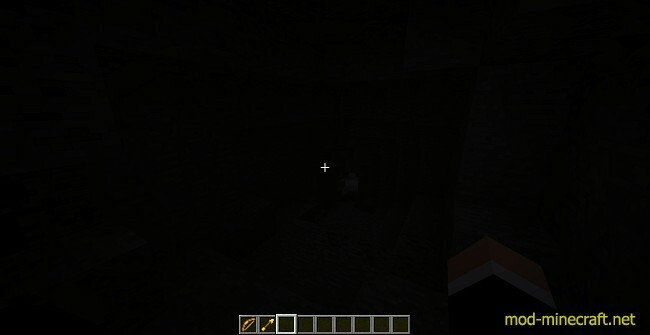 Don’t you hate it when you come across a cave and can’t see what is inside without risking your life? Well now, that problem is gone. 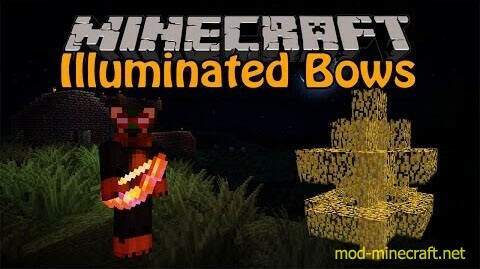 It is time for Illuminated Bows Mod. The illuminated bow is what you will need in order to shoot out those fragile light sources. A normal bow just will not cut it. It is an edge far too rough and run the risk of ruining your shot. To get an illuminated bow, you simply infuse a regular bow with some glowstone inside Thermal Expansion’s Fluid Transposer. This will smooth off your edges and leave you with just the right tool for portable light. What does it shoot though. You follow a similar process to the bow and you will get yourself some illuminated arrows. These wonderful little tools will fly right out the front of your illuminated bow and give you a light source wherever they land. 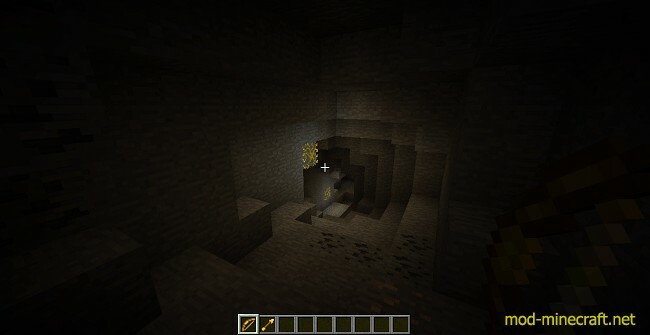 Unfortunately, the hardening of the glowstone means the arrows will shatter on impact, meaning they are not reusable. But hey, at least they are relatively cheap. The light sources themselves also make a nice alternative to a lamp! If you shoot it flame-bit at the end, it will probably go out as it flies. If you shoot it the other way, you will burn your little fingies off. Doesn’t it seem practical, does it? 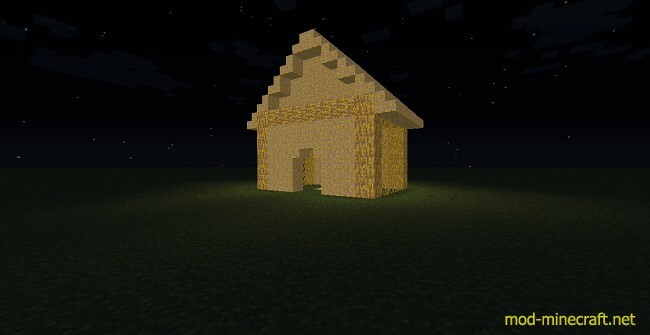 Through the power of glowstone you can take advantage of the solidness and no burnto give you just what you need. Don’t you hate it when you wake up in the morning and there are 6 skeletons under a tree just waiting for you to open your door? It is presenting the illuminated tree. Not only does this tree emit light, stopping mobs spawning under it, its leaves are also fully transparent, meaning the little buggers will burn underneath it too. 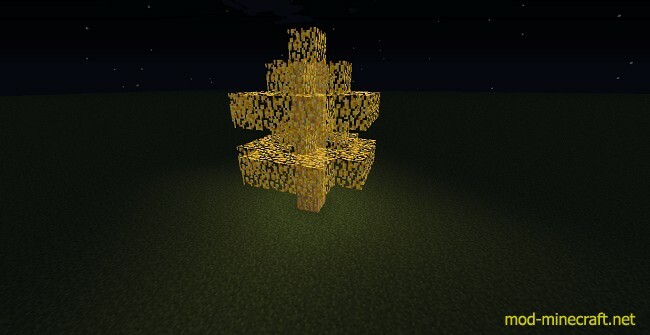 Illuminated trees will drop saplings but at a much lower rate than a regular tree. Every now and then, they might just drop a little something to help you on your illuminating ways too. But how does one get an illuminating tree? The answer, of course, an illuminated sapling. 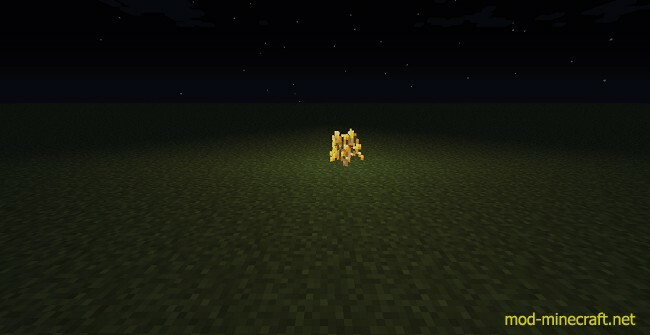 Just infuse a regular oak sapling with some more energized glowstone, and plant it in the ground. After a bit of time or bonemeal, you’ll end up with your brand new illuminated tree! When you trim your trees, you will grab some illuminated wood. It is great for pillars. You can craft these for illuminated planks. You can craft these into illuminated stairs. The list is endless. Actually, it’s not. Wood related products end here. Illuminated leaves are, of course, shearable, and when placed back down will still glow. It won’t be long and you’ll have an entirely illuminated house!